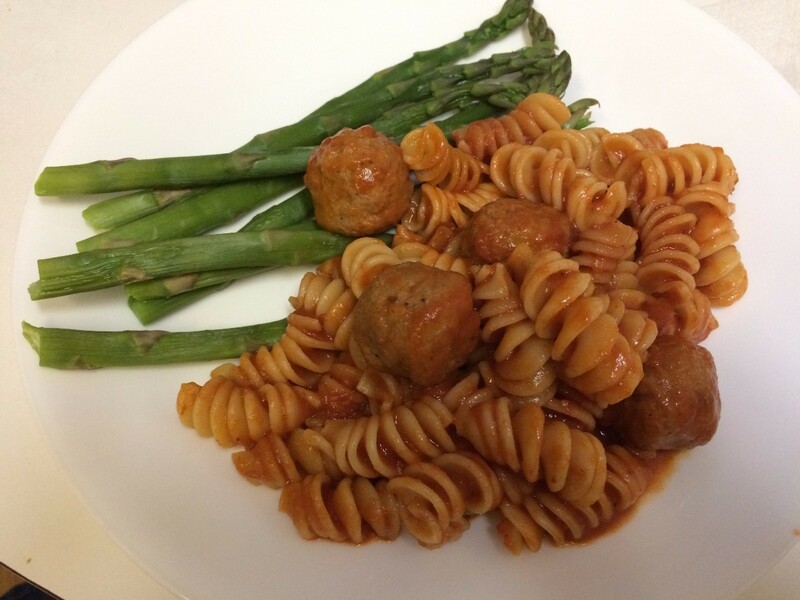 Make this classic meal in your Instant Pot for an easy weeknight supper. 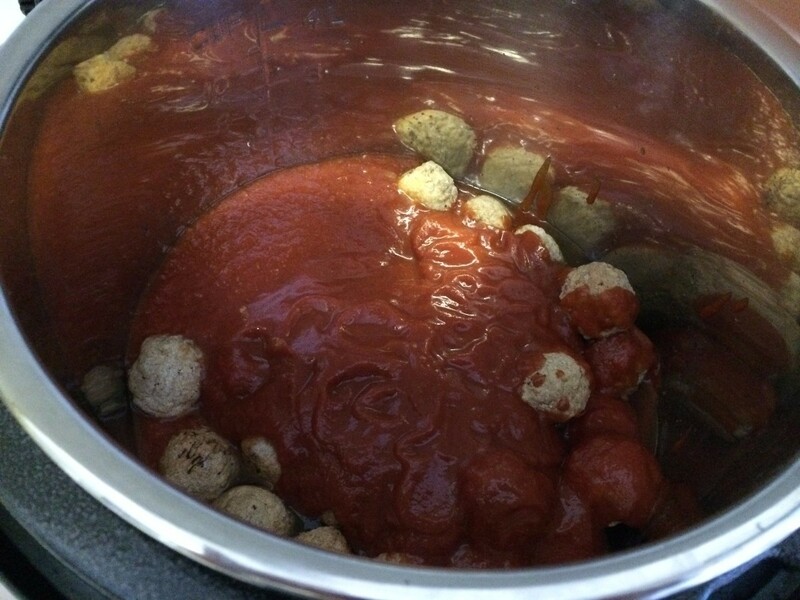 This guide contains a recipe for pressure cooker spaghetti and meatballs. 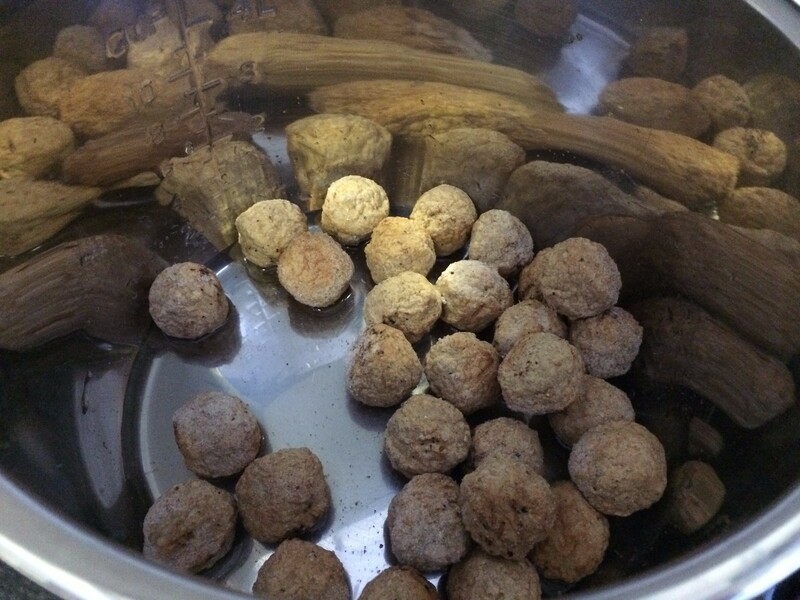 Imagine only one pot to clean:) This recipe uses frozen meatballs. I had a package I bought at the supermarket. The next time I make meatballs, I will freeze enough for this recipe. Great for the person on the go. The pressure cooker infuses the meat and pasta with the sauce. Absolutely delicious. 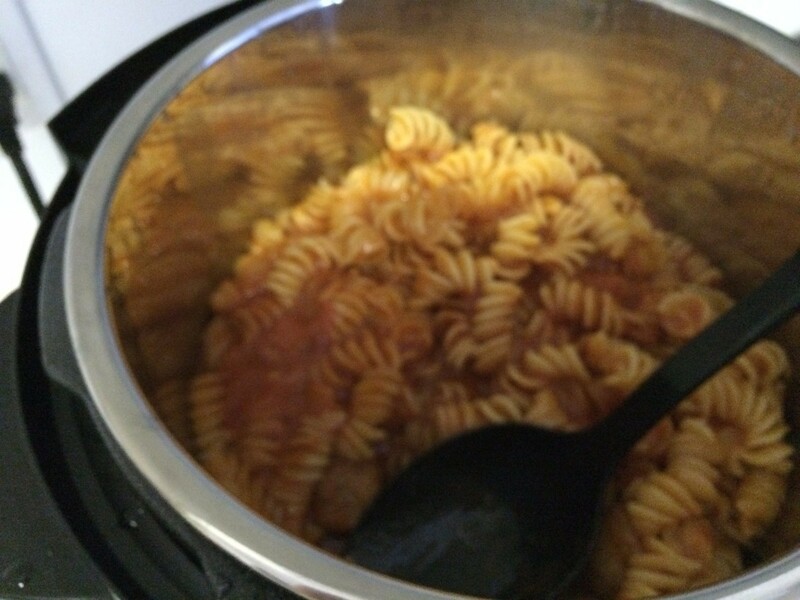 Put 1/2 cup of water in the bottom of the pressure cooker. Put in the pasta sauce. Fill the pasta jar with water. Add to the pressure cooker, concentrating on getting around the sides of the cooker, so the water will go underneath. 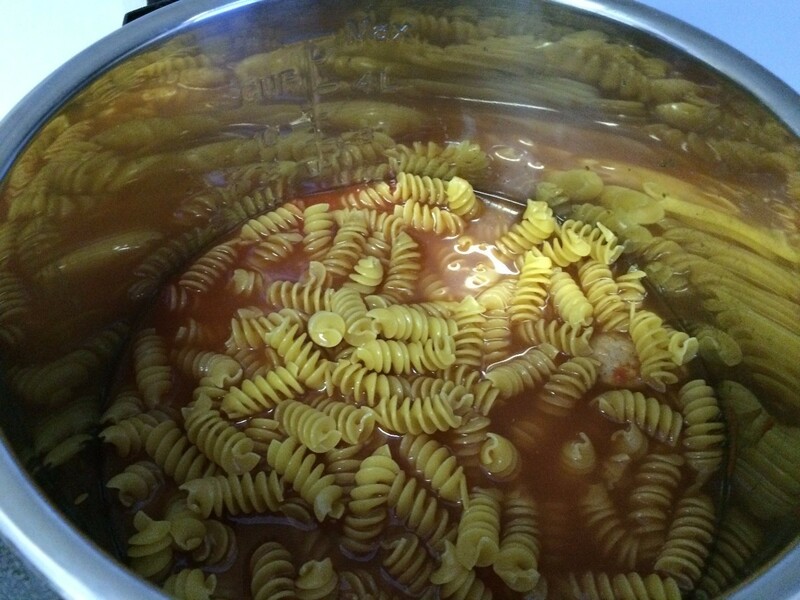 Push down the pasta, so it is covered with water as much as possible. Lock the lid, and bring to pressure. Cook at high pressure for 3 minutes, and do a 5 minute natural release. 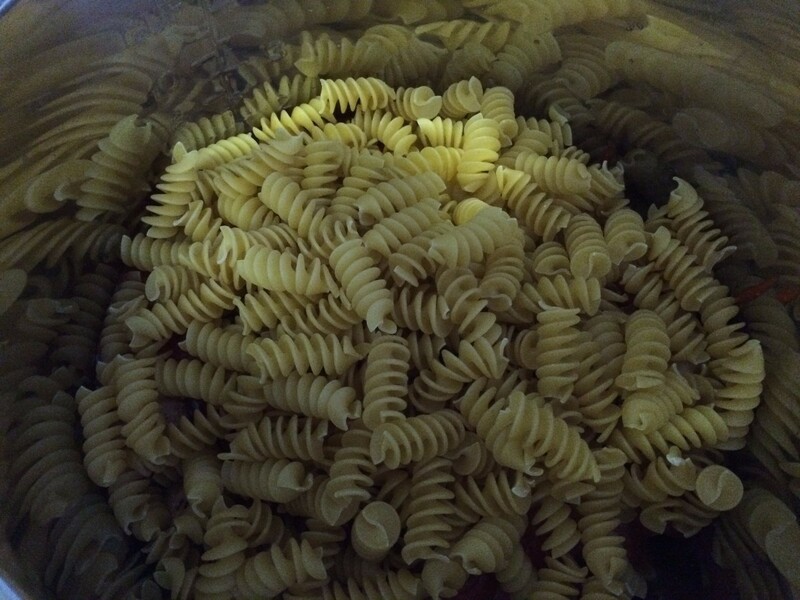 Open the lid and mix to separate any pasta that may be stuck. Serve and enjoy. NOTE: If you are using a pasta other than spaghetti, set the cooker for 1/2 the lowest time on the pasta instructions and subtract 2 minutes.